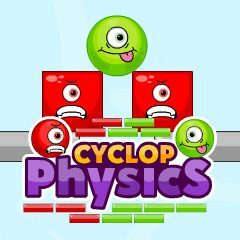 Help the red and the green cyclopes get to the platforms of corresponding colours! Click at a cyclop once to make it round, click again to make it square! Have fun!